To find the DEVIregTM Smart serial number you can take the front apart from the bottom part, mounted in the wall. The serial number will be on the back of the front part and on the front of the back part of the thermostat. 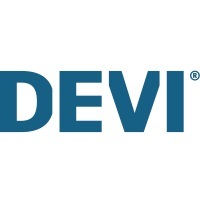 Alternatively you can use the DEVI Smart App. Can other people access my thermostat? How is time set in my DEVIreg Smart Thermostat?